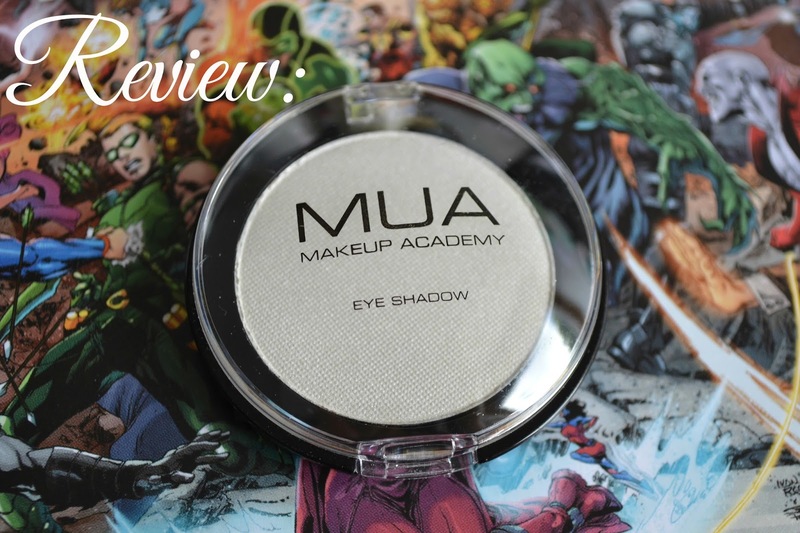 For today's Blogmas post I thought I would do a review of MUA's Pearl Eyeshadow in Shade 2 which is a lovely simple pearly white colour with a sheen. Now I've not really tried MUA much, tending to believe that you get what you pay for but this has proved me wrong and this is may just be a HG product for me. I went with something a little different with the background since it was hanging around on my desk. Thoughts? The packaging is plain thick plastic which isn't very sturdy at the closure but I feel it could handle a few knocks, it's not as flimsy as you would think a £1 eyeshadow would be. This eyeshadow is a massive 2g where as Mac comes in at 1.5g. You won't be running out of it in a hurry. As you can see it's not a hugely original colour, just a plain white with a lovely sheen but I find that so rare! 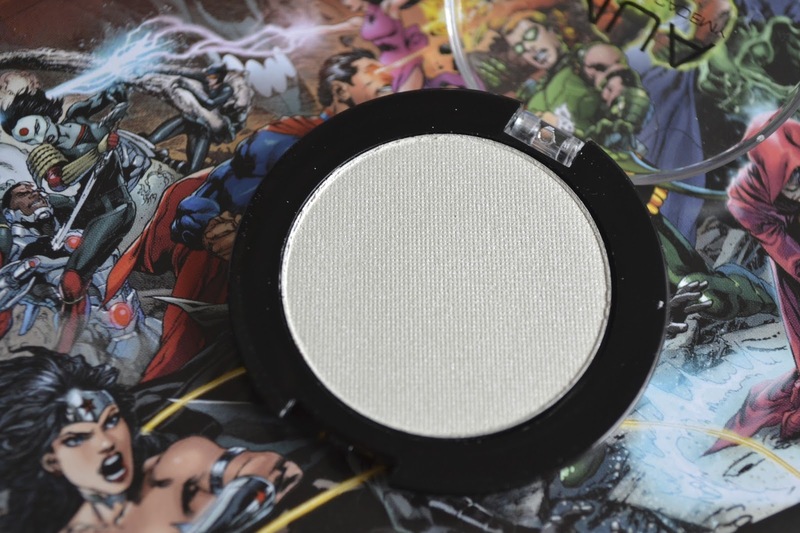 It's perfect for highlight and in the inner corner, it stays put with a good primer and is buildable if you want a real pop of white. I'm very pale so I can even get away with using it as a highlight with a big fluffy brush and a good blend. 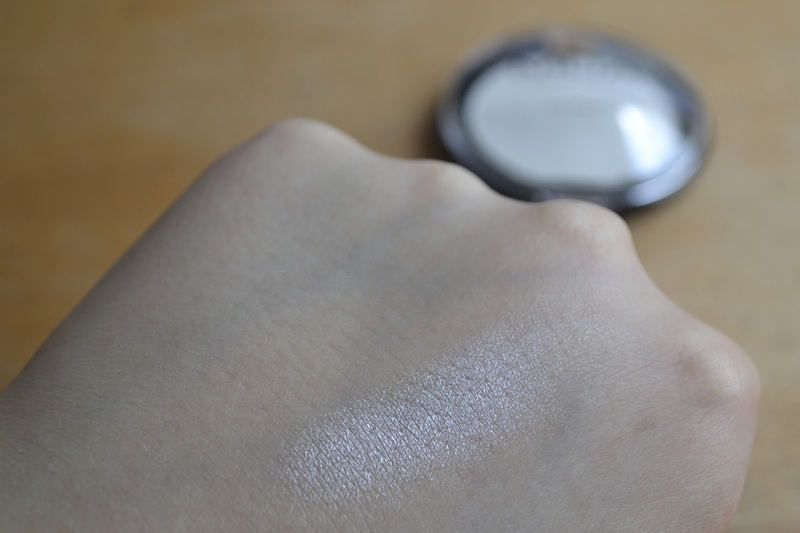 I think the best thing about this is that I often find my palettes don't have a nice plain white highlight so it fills that gap and this is small enough to take when travelling but holds a huge amount of multi-use product. You can buy this from MUA's own website here or from Superdrug! And I think it would make a great cheap but valuable stocking filler. Have you ever tried MUA's eyeshadows? What do you think? The palettes are next on my list to buy, I've always put it off!